Every year Lebensmittel Zeitung, the leading trade and business newspaper for the consumer goods sector in Germany, finds out which products German households prefer purchasing. A winning brand is identified in each food category to receive the “Top Brand of the Year” award. In the product group for cooking and salad oils, the brand BIO PLANÈTE was named the top brand for 2016. A survey is conducted in which 30,000 households are asked questions about roughly 5,000 product brands, which are divided into 100 product groups. Parameters such as market share growth, customer reach, and sales performance influence the appeal of the studied brands and ultimately determine the winners in the respective categories. »For years my team and I have been working with passion and commitment each and every day to be able to offer top, organic-quality products and engage in sustainable business practices at the same time. We are people who act with conviction. This also includes further developing our expertise on an ongoing basis and working on innovations that we can stand behind 100%. 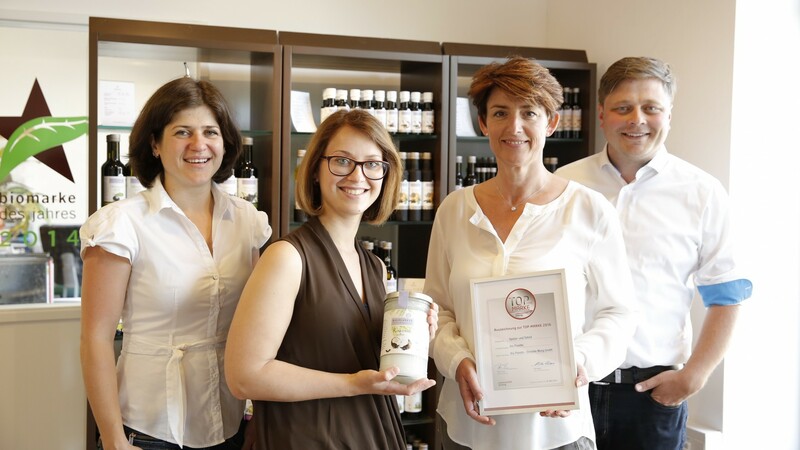 Many of our customers know and appreciate that,« says Judith Moog, owner of the company Ölmühle Moog GmbH and daughter of the oil mill’s founder. »What really surprised and particularly delights us is that we as an organic producer were so successful in an overall comparison with other conventional producers, even though our products are available exclusively from organic retailers,« Moog adds. More information on the quality of BIO PLANÈTE oils can be found here.